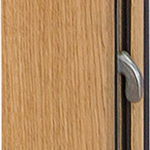 Gaulhofer with 100 years of expertise. 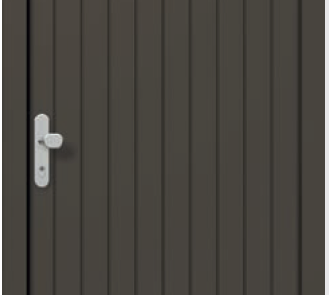 Gaulhofer are 100 years old in 2019, supplying timber, timber aluminium, uPVC windows and doors. People like touching wooden windows as they always feel wonderfully warm and natural inside. They are not only delightful to touch, but also to behold thanks to their fascinating grain patterns – a truly eye-catching feature. 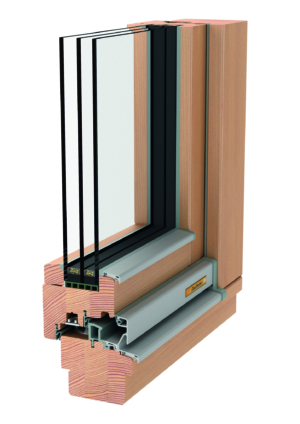 Gaulhofer’s natural upgraded finishes ensure that wooden windows enhance the climate inside the home. 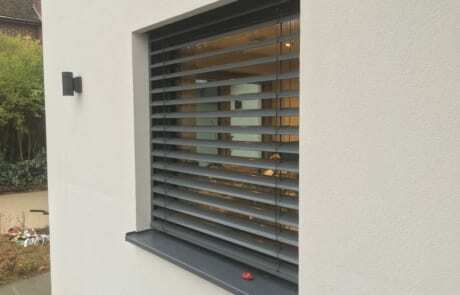 As one of the few leading manufacturers in the german speaking countries of Euro pe Gaulhofer offers a 30-year warranty on the wooden and wood-aluminium window construction. 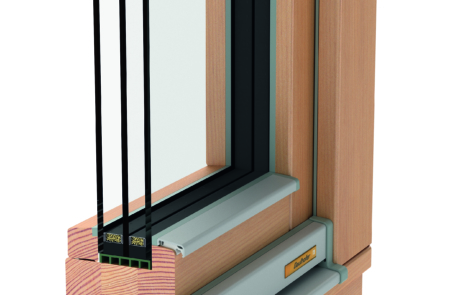 The natural raw material wood locks away a lot of CO2, including in wooden windows. 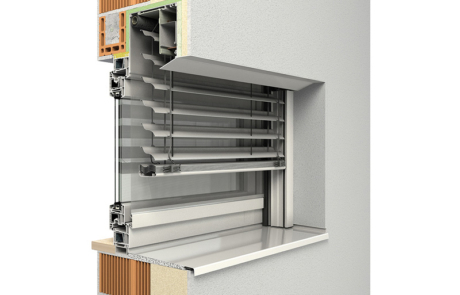 In addition, our manufacturing process consumes a lot less energy – energy is in fact even recovered with thermal waste disposal. 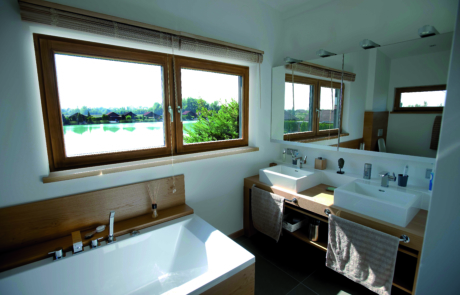 Gaulhofer also tries to ensure as far as possible that all the high-quality timber it buys has been locally grown. 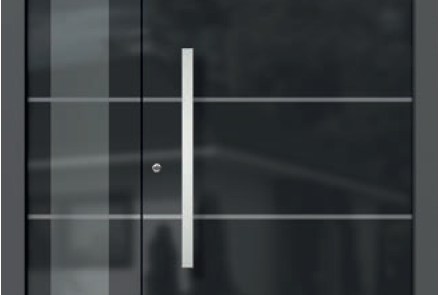 So keeping transport distances short. 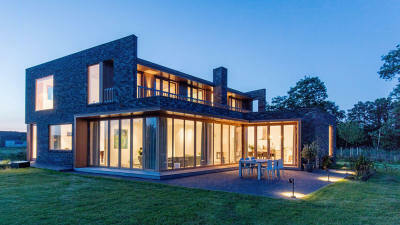 And protecting our climate! 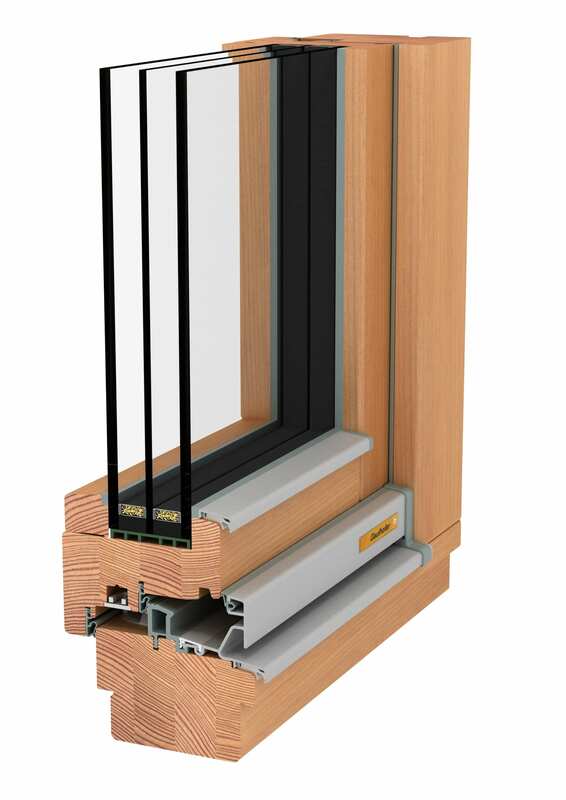 Particularly important: Categorised as timber grade A, the timber used in Gaulhofer’s wooden and wood-aluminium windows is exceptionally hard and resistant. 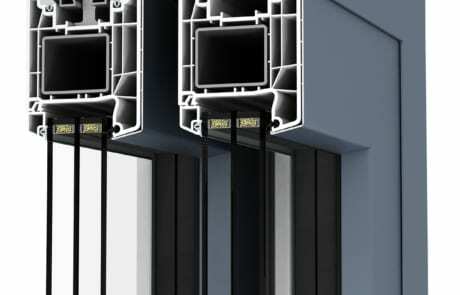 This means they won’t warp and will remain stable over their entire life. 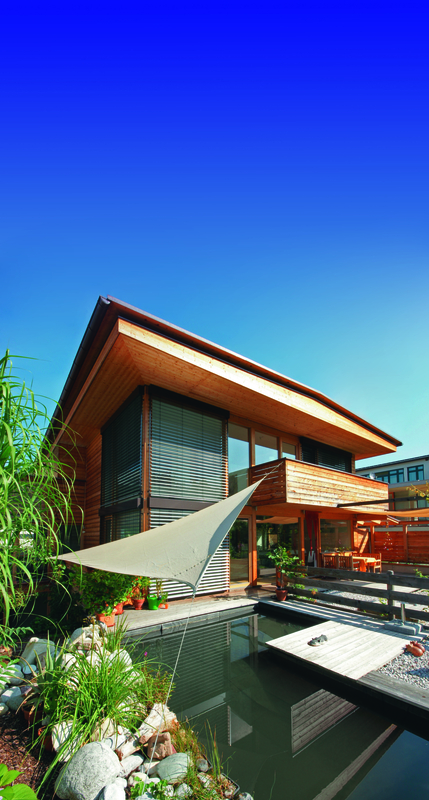 Wood is a natural and renewable resource that optimally meets ecological and economic requirements. Windows are an essential design element of every home. 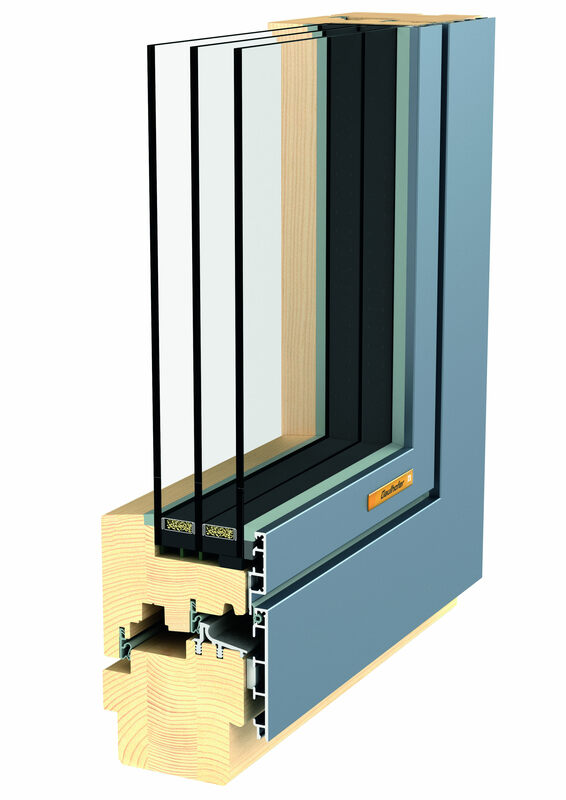 The variety of colors and shapes of wooden windows give the façade an independent personality and only a characteristic appearance. 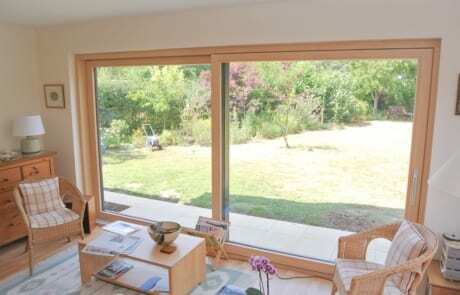 Treat yourself to a delightful atmosphere in the home with wood-aluminium windows. 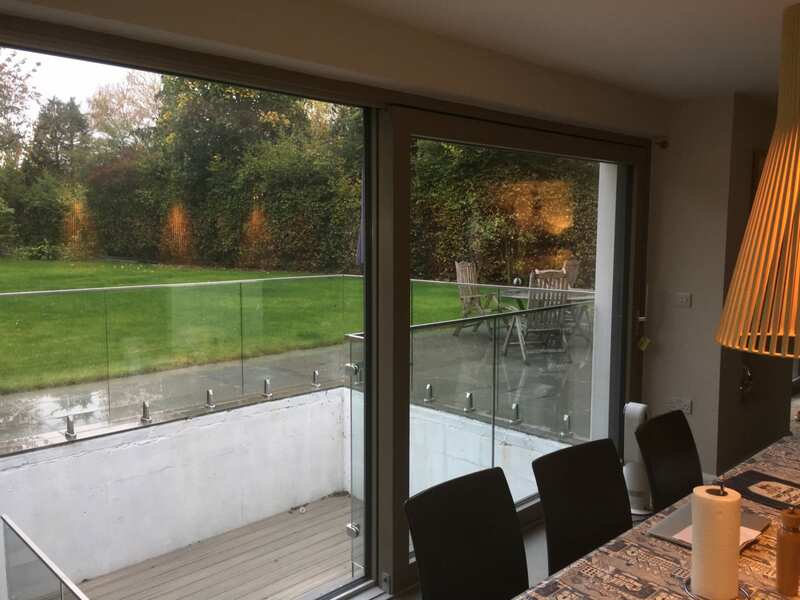 Inside you enjoy the cosy, appealing look of wood and its wonderful feel, while outside the level of protection is increased by aluminium cover shells. These windows also allow you to personalise the design of your facade thanks to the wide variety of RAL shades. 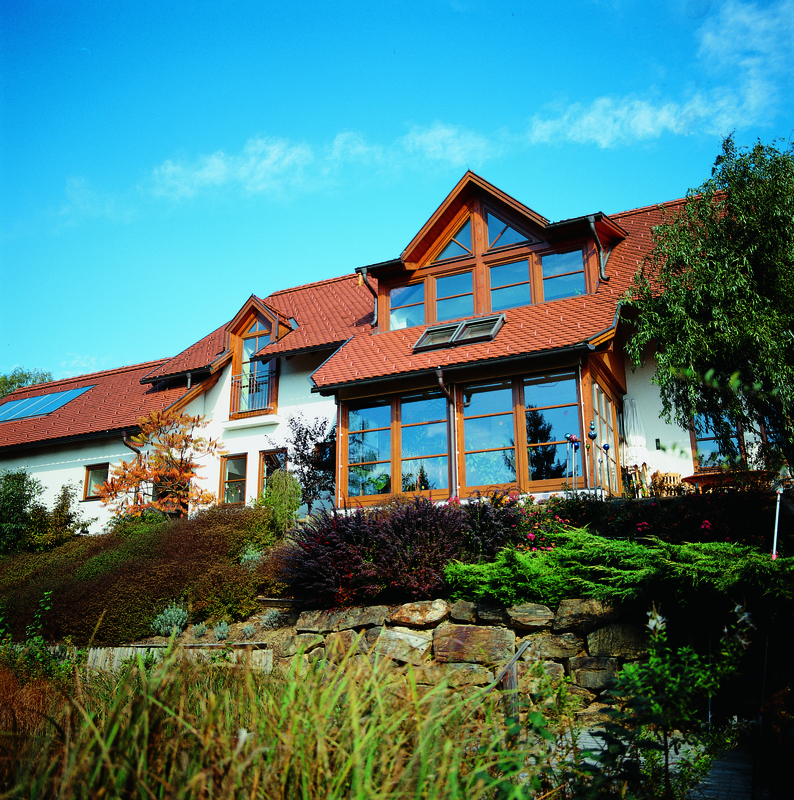 As one of the few leading manufacturers in the german speaking countries of Europe Gaulhofer offers a 30-year warranty on the wooden and wood-aluminium window construction. 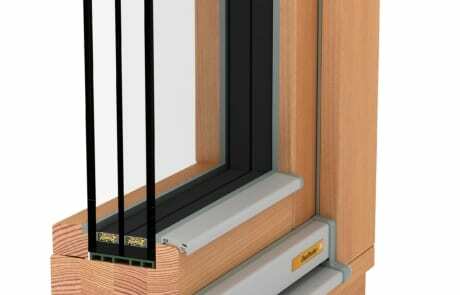 Wood locks away large amounts of CO2 – this is why wooden windows also help to protect the climate. 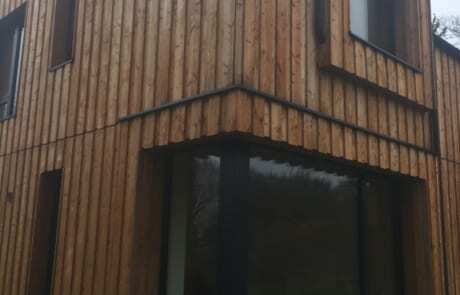 Austria moreover grows far more timber that it can actually use. 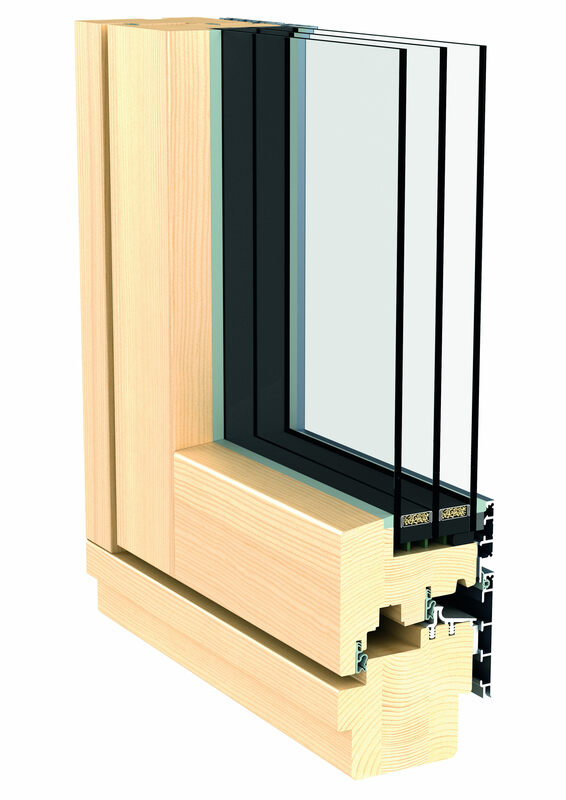 The manufacture of wooden window also consumes a lot less energy than when producing uPVC windows. 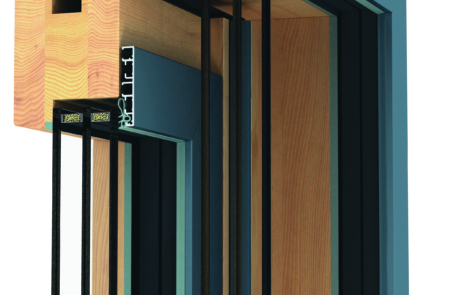 When it comes to disposal, wood offers an excellent supply of energy. 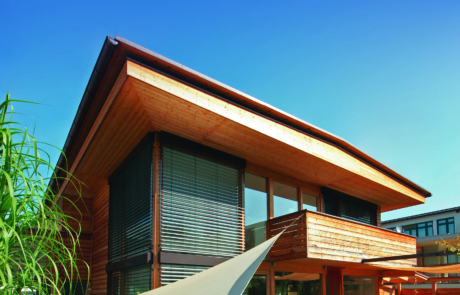 Another bonus: Gaulhofer buys its timber from local sources, so reducing transport distances. 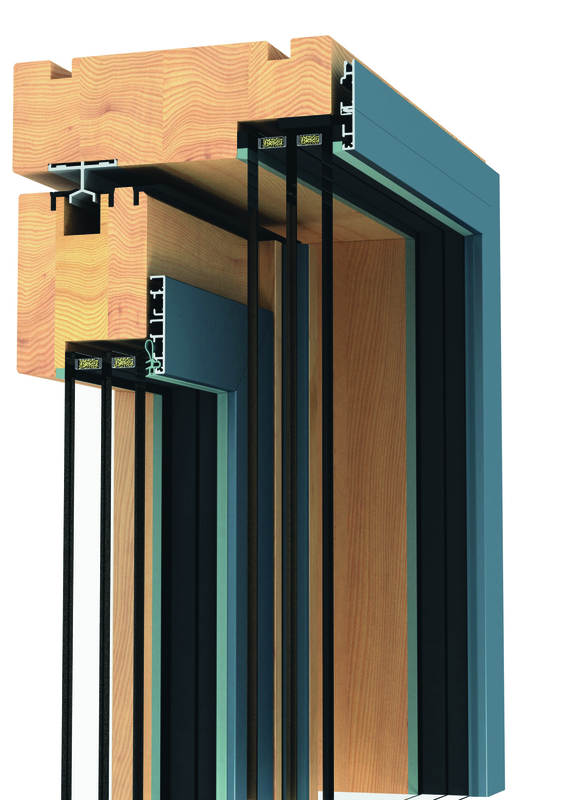 The wood used here is always timber grade A. 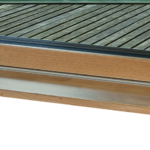 This means it originates from sustainably managed forests, is felled at the ideal time in winter and is stored under optimum conditions before being processed. 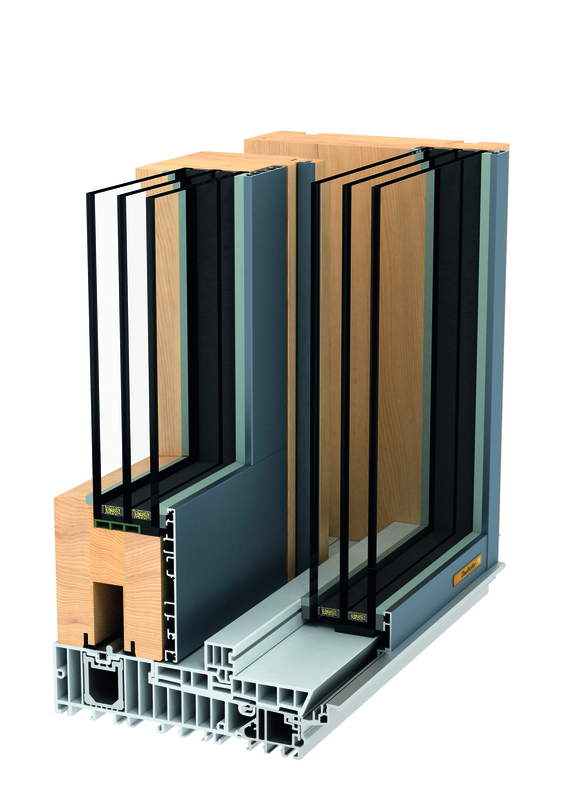 To ensure wooden and wood-aluminium windows from Gaulhofer will last for years! 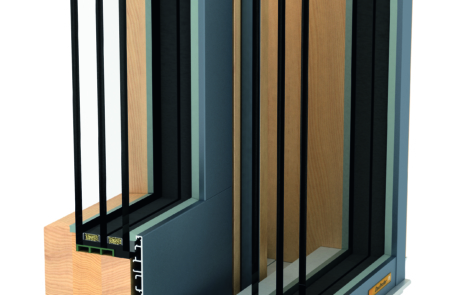 Gaulhofer has also developed technology to deal with noise and draughts. 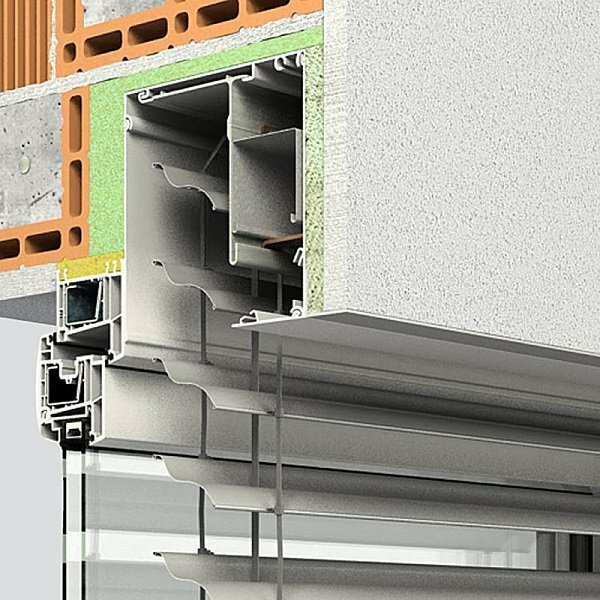 Thanks to three circumferential seals, Gaulhofer Audiostop® ensures that noise outside doesn’t stand a chance of getting in – and nor do wind or driving rain. 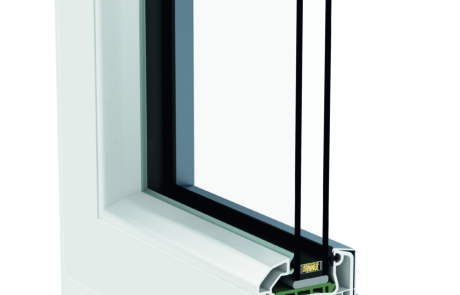 Hand-smoothed wet sealing combined with Gaulhofer’s UV-resistant silicone guarantees the glass joint will remain 100% tight. 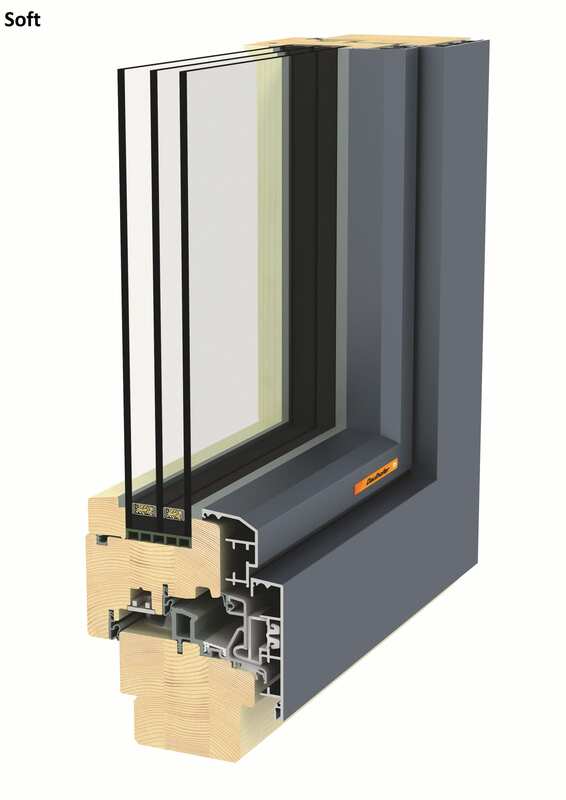 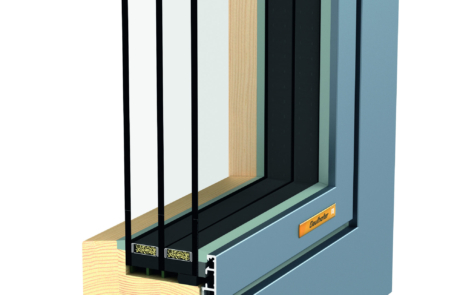 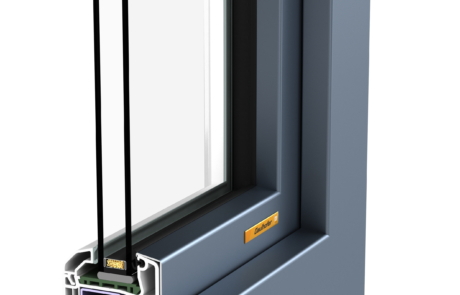 Special seals additionally prevent condensation forming at the glass rebate – so keeping the FUSIONLINE 94 glass joint dry and protecting the sash timber from moisture (Gaulhofer Dampfstop® technology). 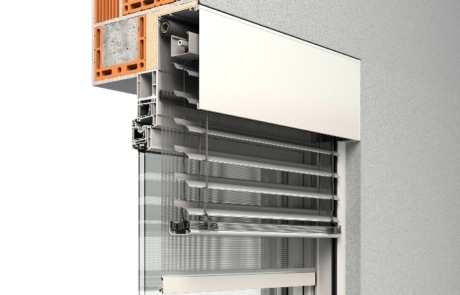 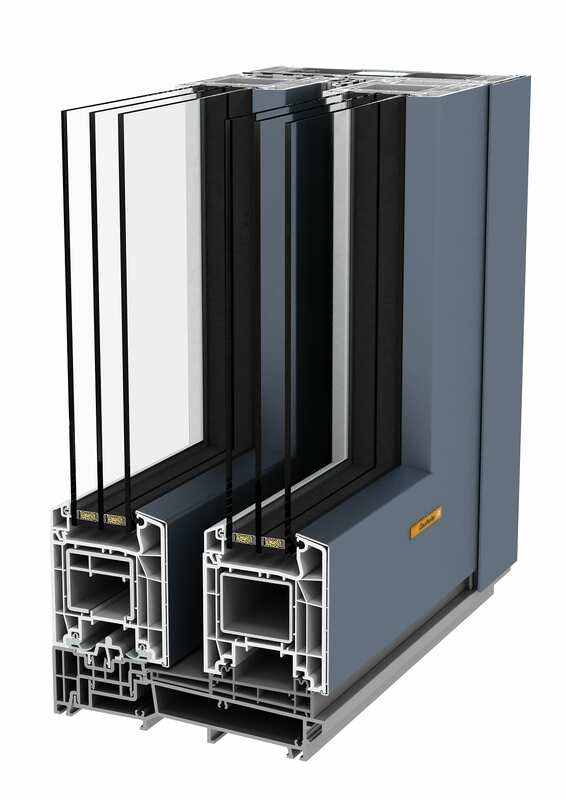 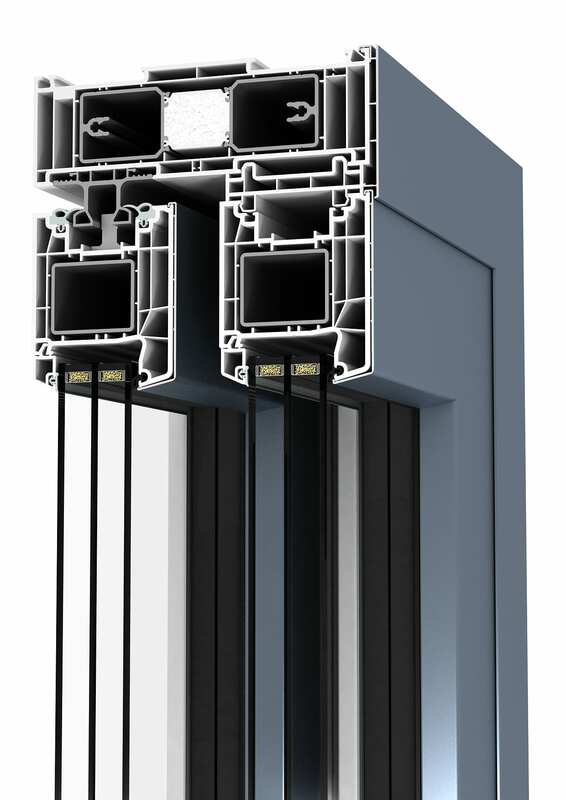 Despite their slender dimensions, outstanding insulation values are achieved by the wood-aluminium window models in the INLINE 91 range, which are available in spruce, larch or oak. 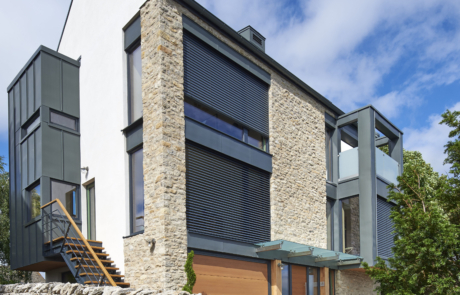 Innovative technology and years of experience over almost a century have allowed Gaulhofer to attain an optimum Uw value of 0.68 W/m2K (other models to 0.91 W/m2K). 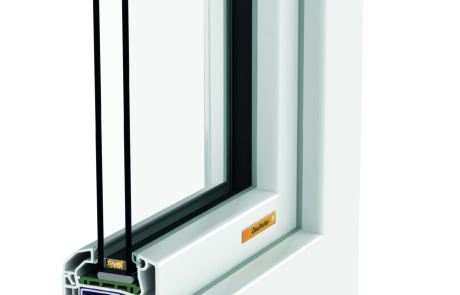 The nonetheless ultra-slim sash is only separated from the shutter frame by a fine stop joint – a feature that looks very appealing. 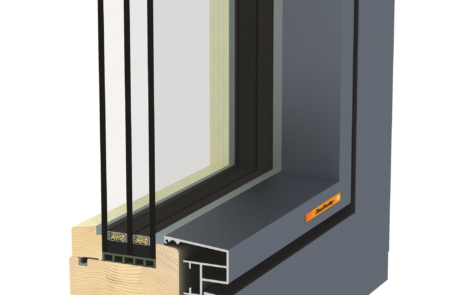 In addition, Gaulhofer Thermostop® and Thermostop®plus use high thermal insulation glass spacers to make sure no condensation can form on the inside of the glass. 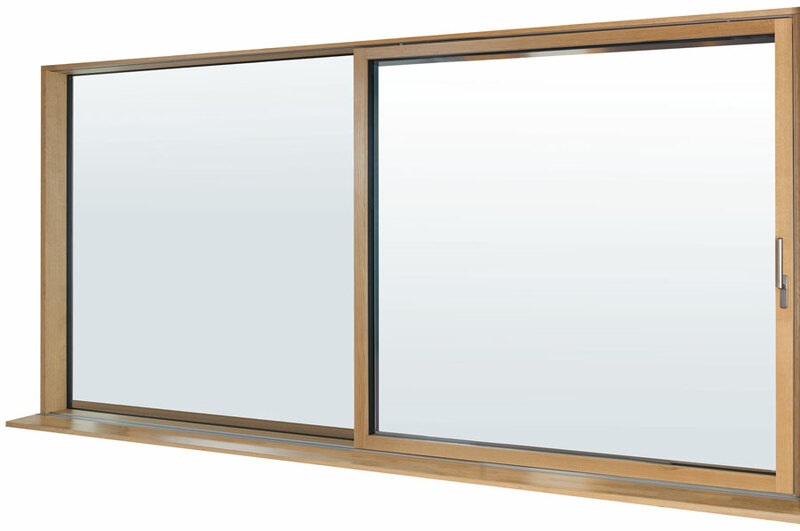 The INLINE 91 wood-aluminium window series from Gaulhofer grants your right to personal design – you can choose from our extensive selection of colours with a total of 46 possible variations! 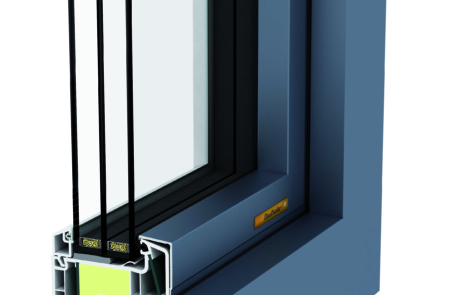 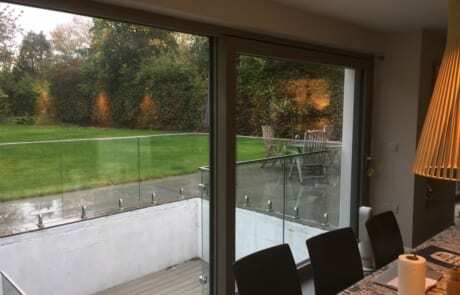 Besides the wide range of shades, you also benefit from Gaulhofer’s unique wet seal, which ensures a hermetically tight glass joint, so putting an immediate stop to wind and rain. 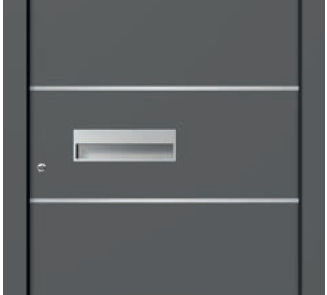 With Gaulhofer Audiostop® featuring three circumferential seals, you are guaranteed peace and quiet for a good night’s sleep. 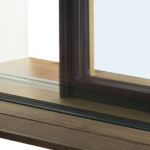 Gaulhofer Dampfstop® uses cleverly designed special seals at the glass rebate to keep the glass joint dry at all times, so further improving the life and look of the sash timber. 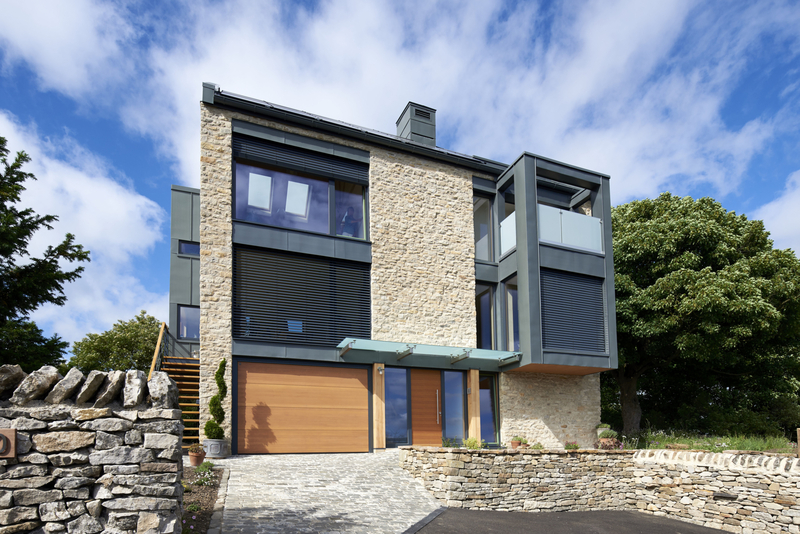 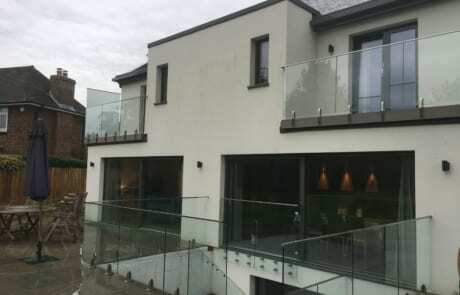 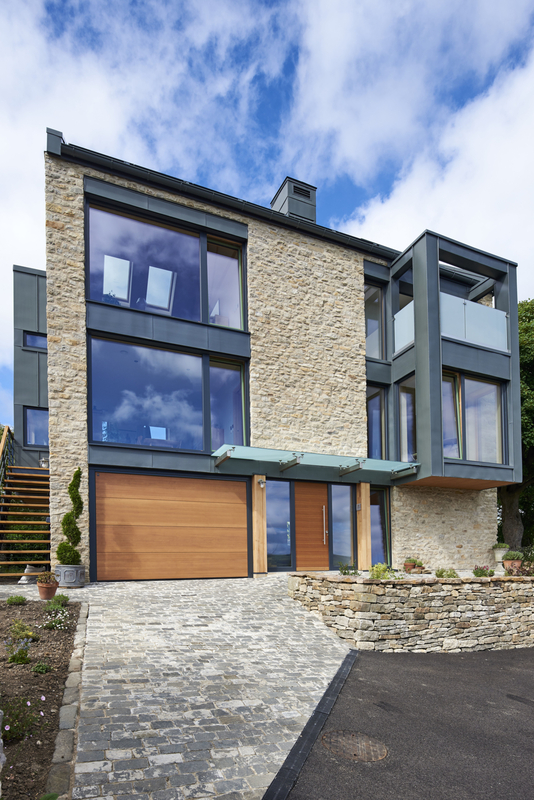 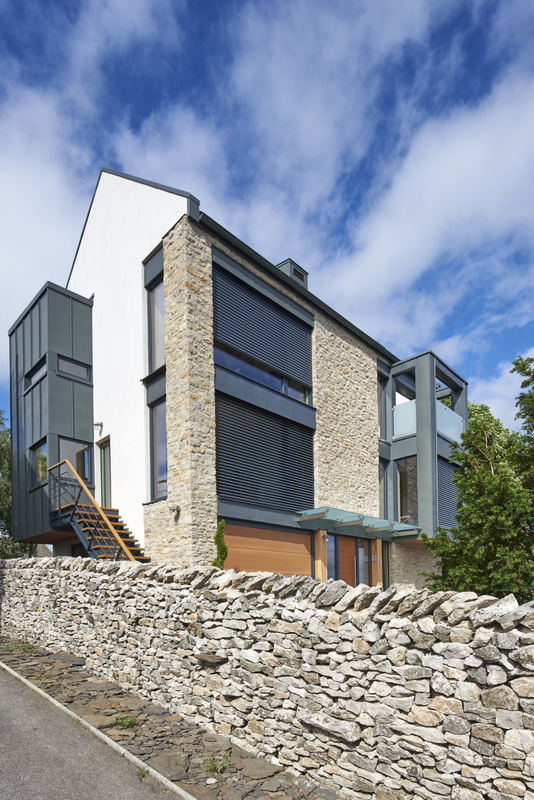 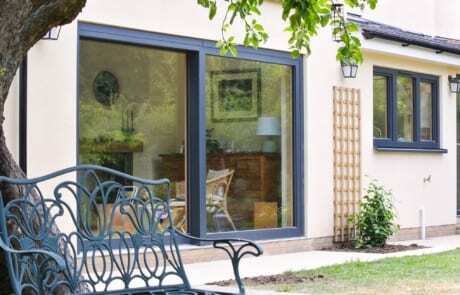 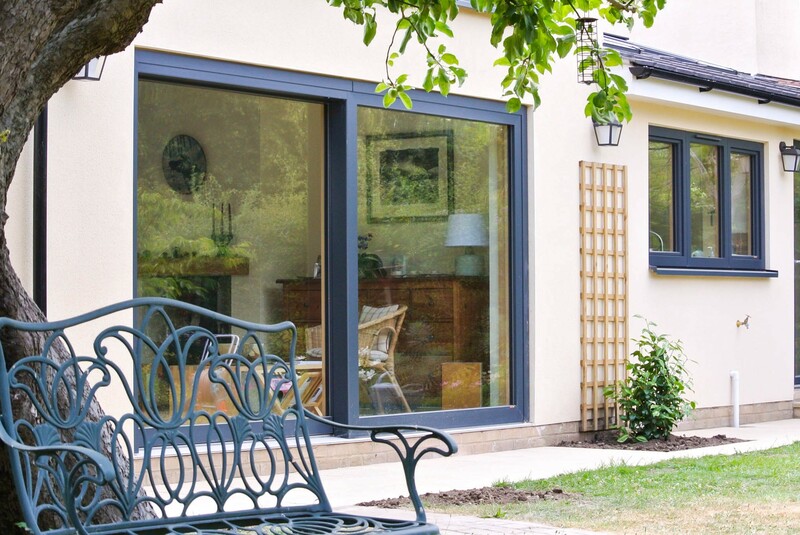 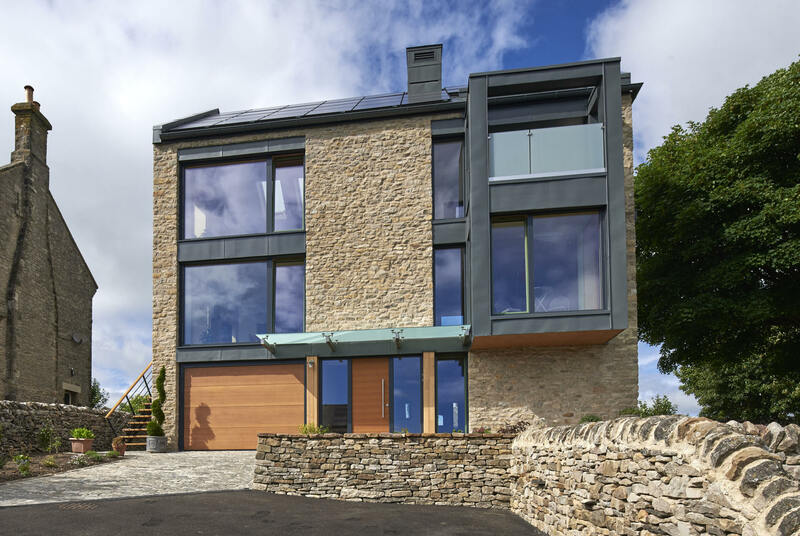 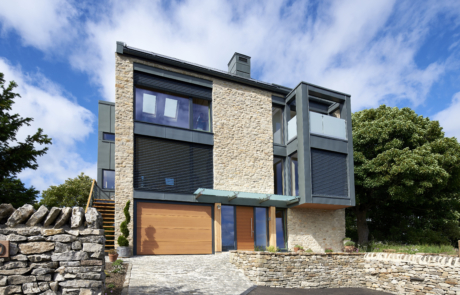 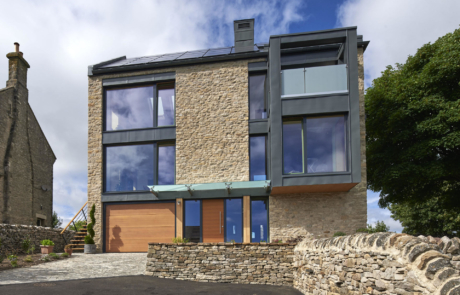 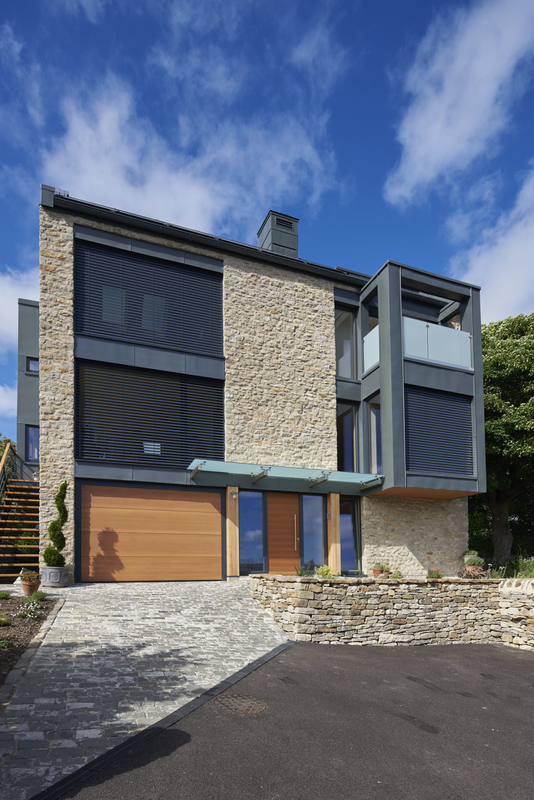 When it comes to material costs, uPVC-aluminium windows are more affordable than wooden ones, and processing is also more efficient, so making them attractive to customers or people engaged on renovation projects with an eye to price. 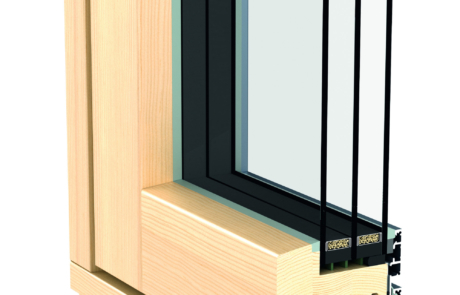 And uPVC-aluminium windows don’t lag behind wooden ones on the functional side either. 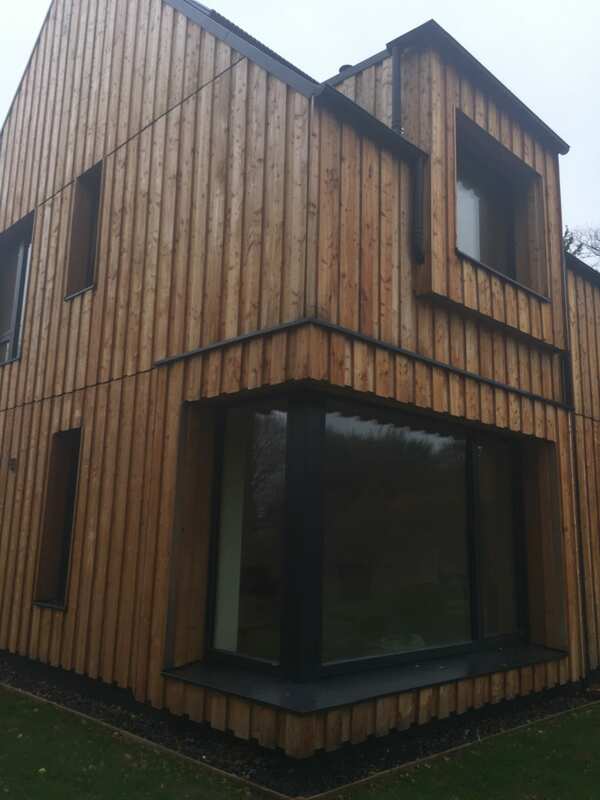 In fact, when it’s a question of design involving decors or colours, they clearly have the edge over wooden windows both inside and out. 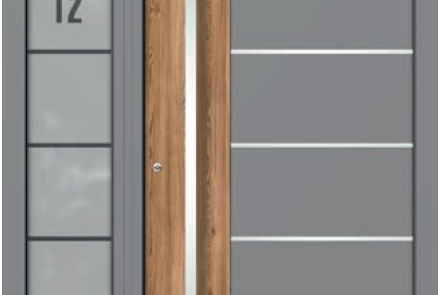 Including where unusual geometric shapes are concerned. 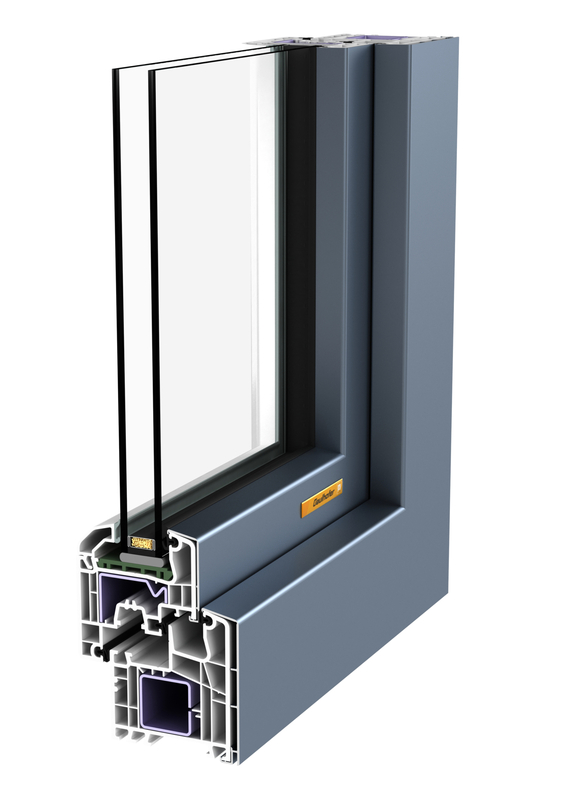 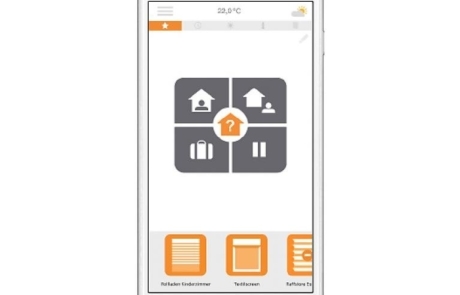 At Gaulhofer uPVC-aluminium windows are made from high-quality materials that not only meet stringent demands in relation to stability and heat insulation, but are also extremely weather-resistant and resilient to high loads. 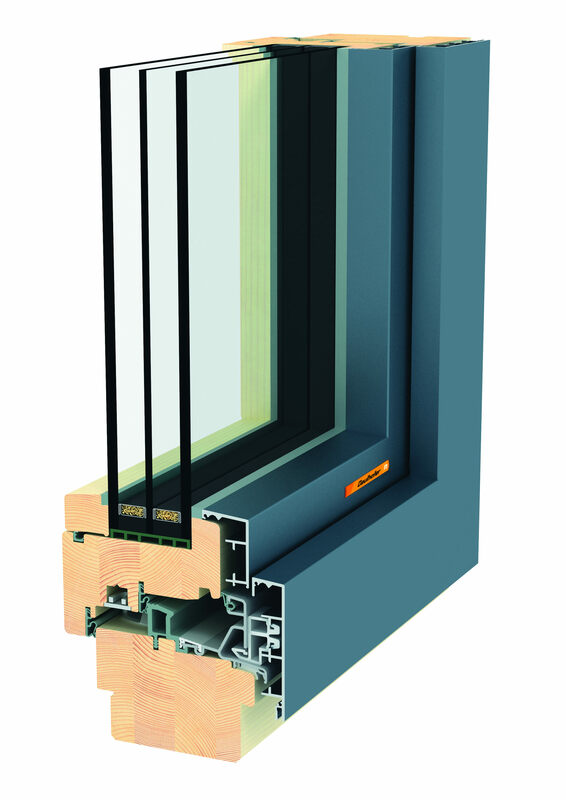 Gaulhofer’s production plant in Vorarlberg employs state-of-the-art technology and precision hand craftsmanship to manufacture premium-quality windows. 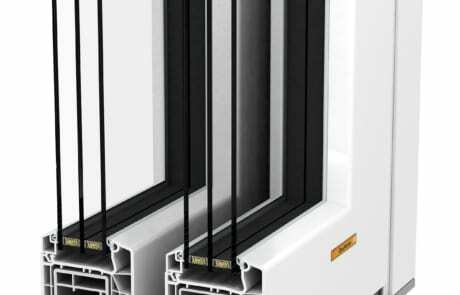 And when it comes to climate protection, uPVC-aluminium windows are better than their reputation: They are made from recycled materials and can themselves be recycled again at the end of their lengthy lifespan. 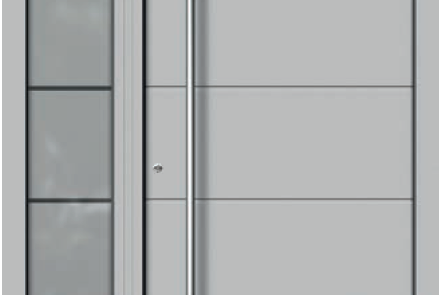 Gaulhofer minimises CO2 emissions during manufacture on a sustainable basis. 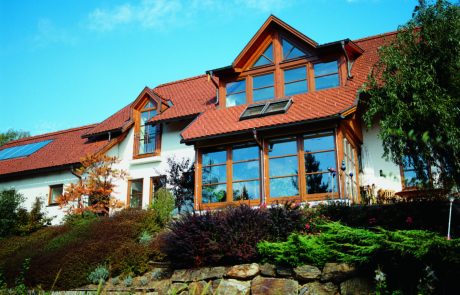 uPVC windows are generally far more affordable than wooden ones when it comes to costs of material. 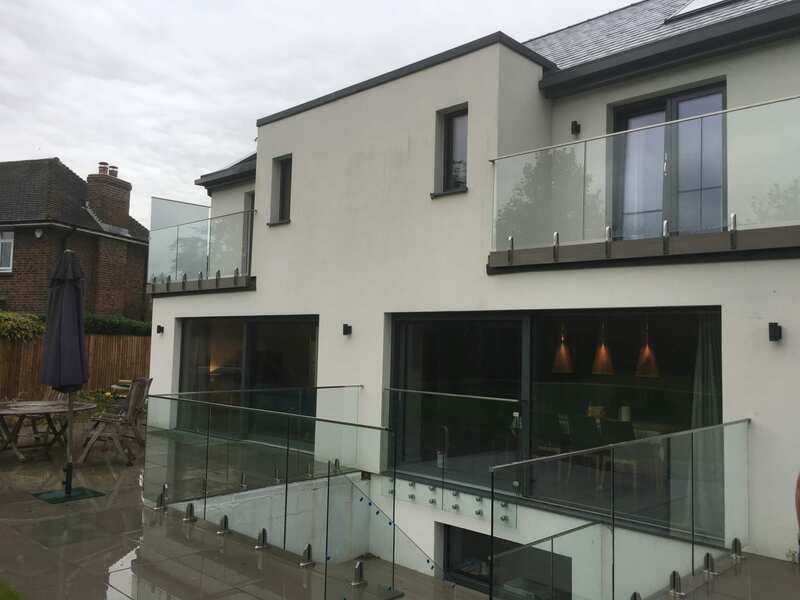 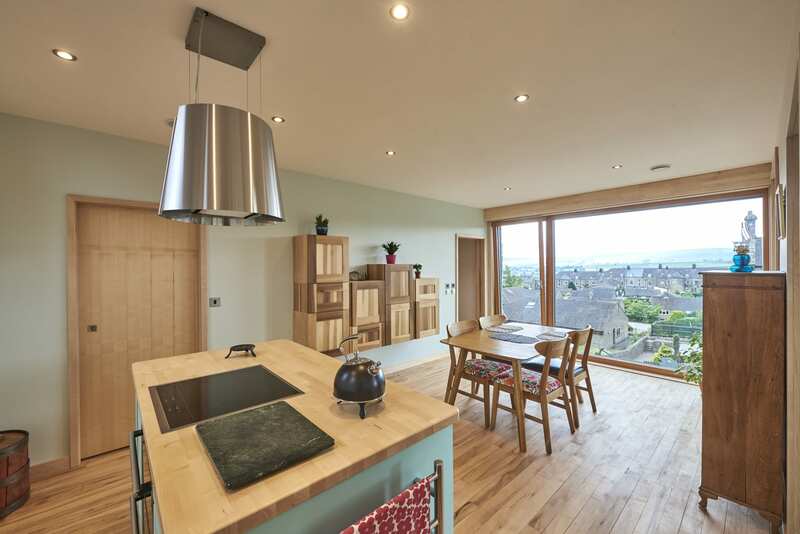 They are often the first choice for customers who need to keep on eye on their budget or people looking for an inexpensive alternative on a renovation project. 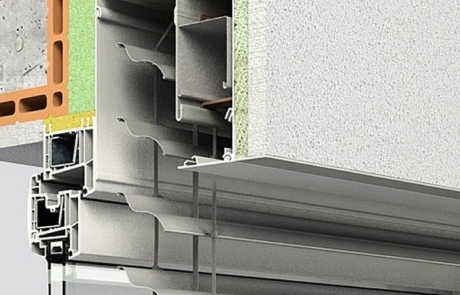 You can make up for the reduced stiffness of the material with specially designed profiles or reinforcement. 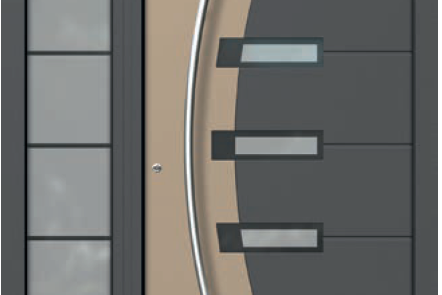 This means there are virtually no limits here, even with unusual shapes (corners or curves). 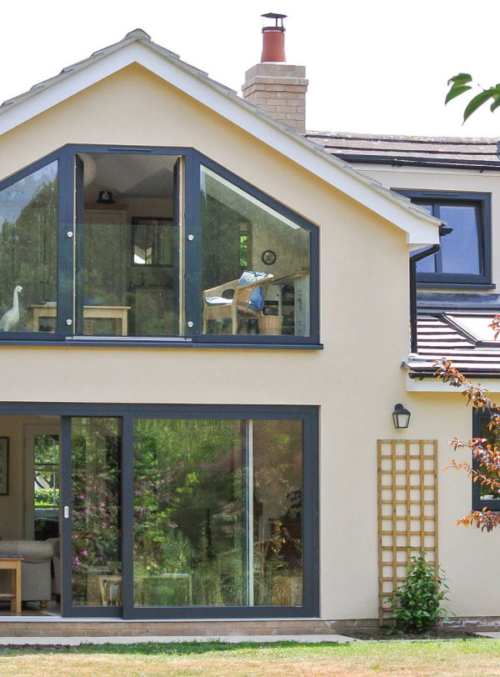 Something that might interest lovers of individualised design: uPVC windows offer greater variety here thanks to the option of fitting aluminium shells outside or inside the home or using decorative films, including some in imitation wood! 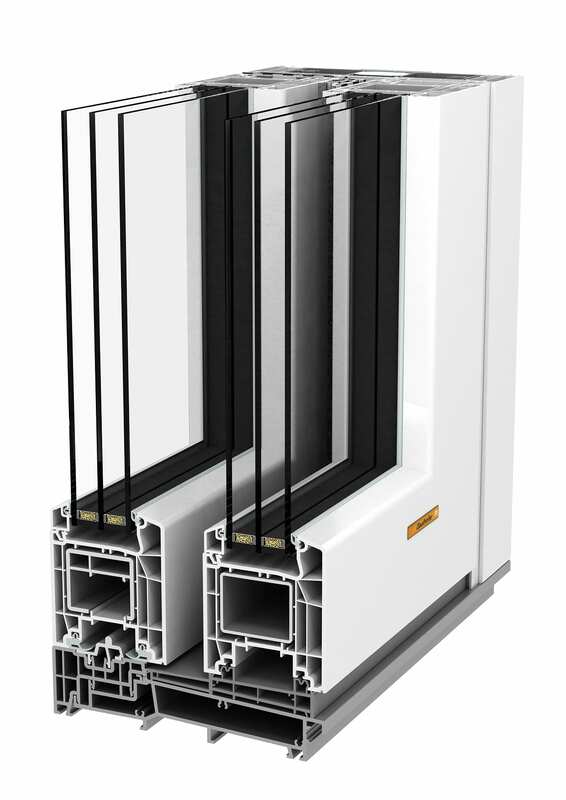 With uPVC windows from Gaulhofer you get a quality high-tech product that is built to last – even when exposed to harsh climates or tough stress levels. Such durable A1 quality is guaranteed by Gaulhofer’s uPVC window and door factory based at Mäder in Vorarlberg. 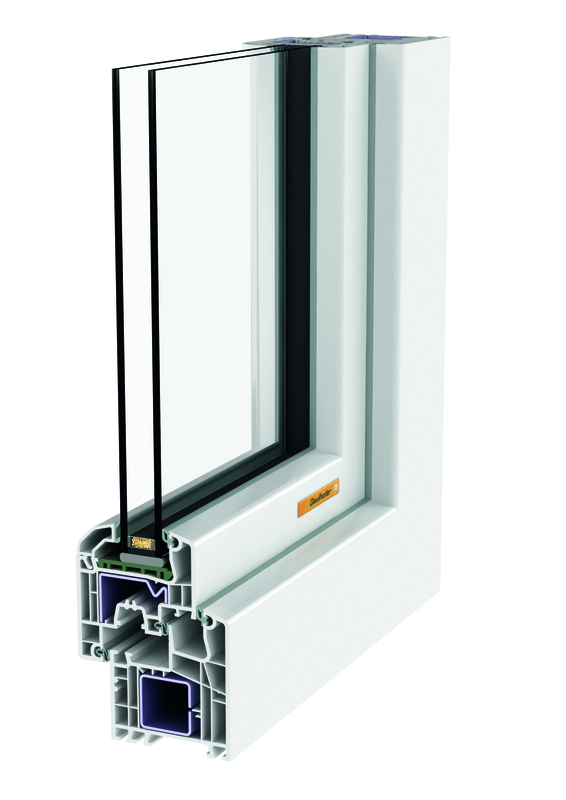 Experienced, highly trained production workers use state-of-the-art equipment to manufacture true masterpieces of technology, which are furthermore characterised by first-rate environmental performance: uPVC windows are firstly made from recycled materials and secondly, can always be recycled again, so bringing them full circle. 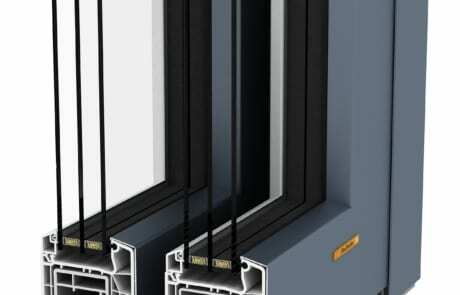 This reduces CO2 emissions and is kind to both the climate and the environment. 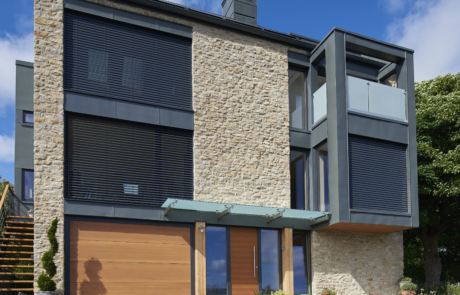 When closed, roller shutters, Venetian shutters and window shutters block out the sun and prevent heat from entering the house. 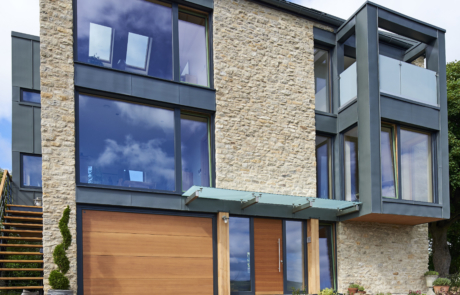 This means your home always remains nice and cool. 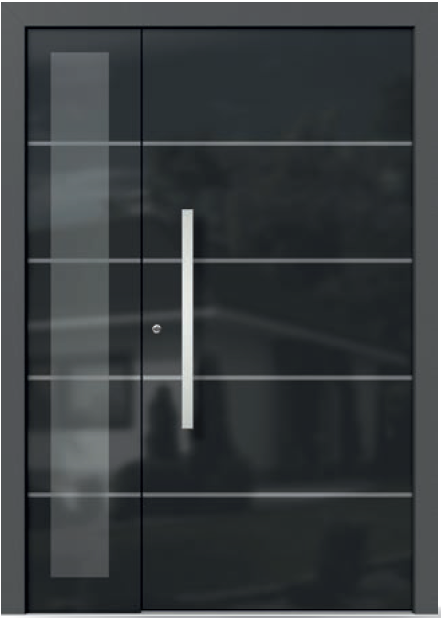 External sun protection is particularly effective. 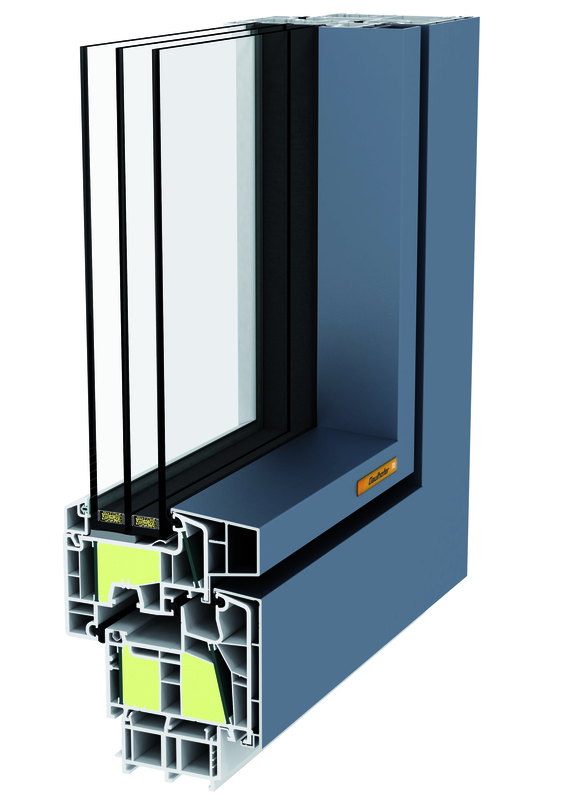 What many people don’t know: In winter sun protection increases the insulation factor of the glazing by several percent. 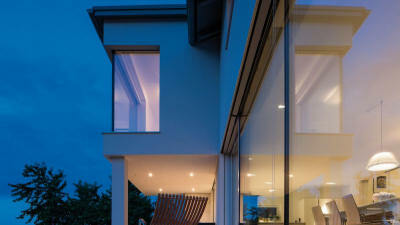 It does this by creating a cushion of air and reflecting more heat. 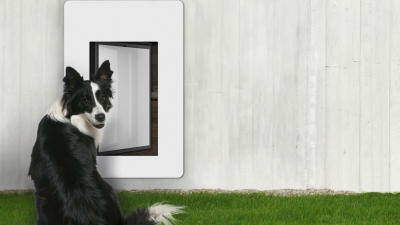 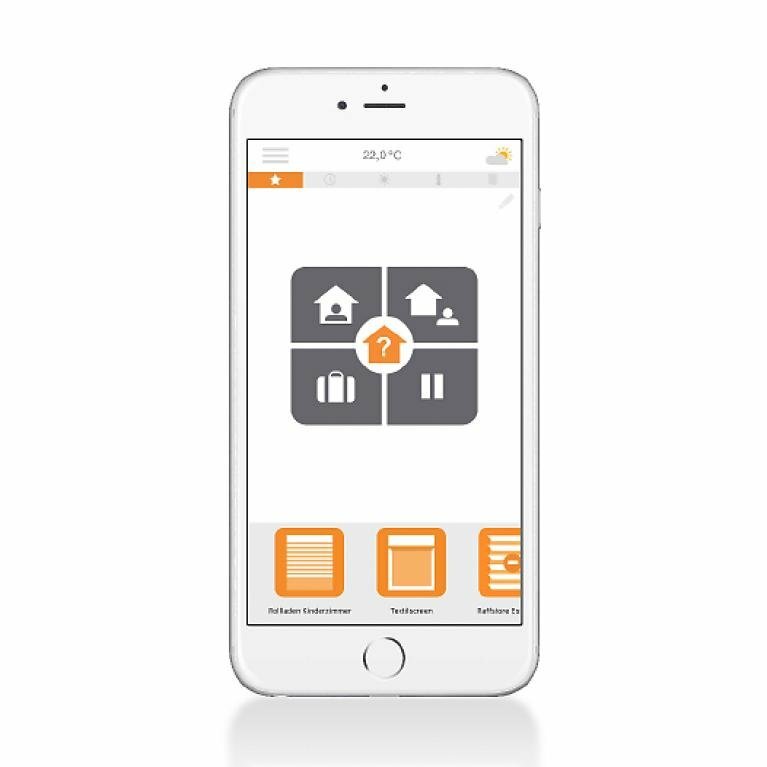 Over the years this will save you a whole lot of money on your heating bills! 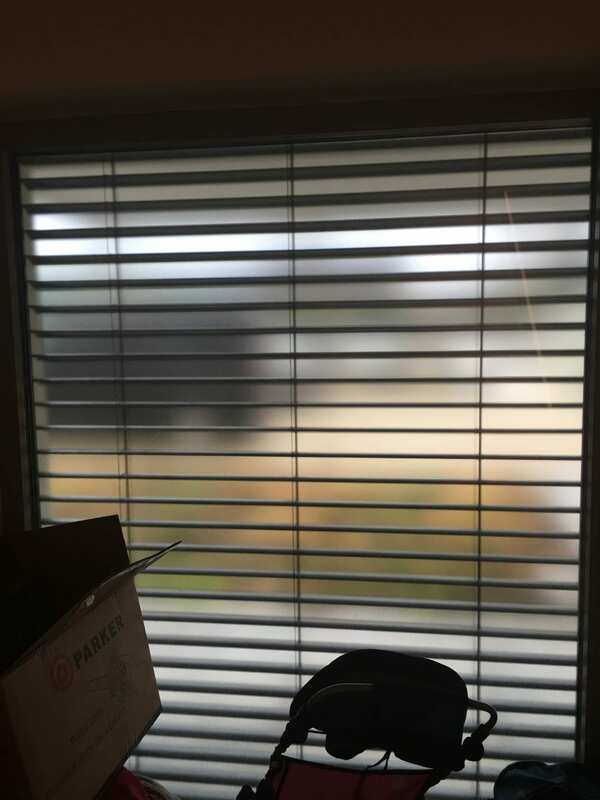 When the sun is low, for example in the morning or all day in winter, you may be bothered by glare – particularly when at your PC or simply relaxing at home. 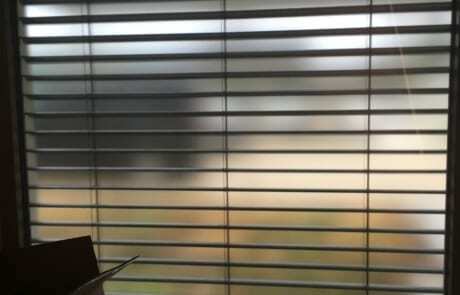 This best way of dealing with this is to completely darken the room with roller or window shutters. 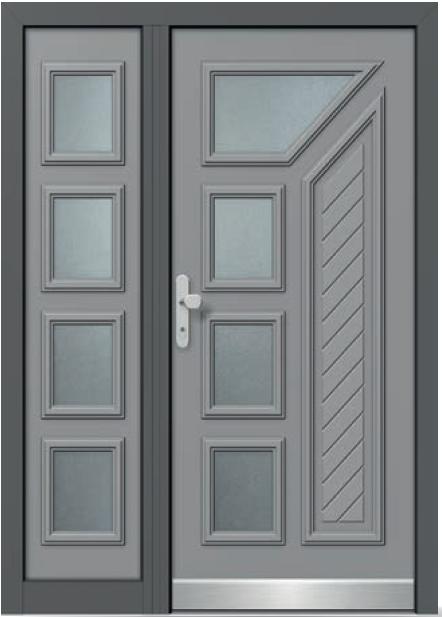 Ideally, you can even combine them with Venetian shutters to just let in a small amount of light. 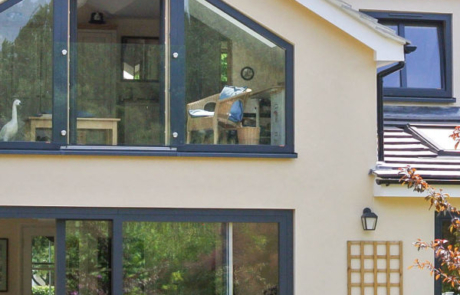 Something that’s good to know: Where sun protection is concerned, Gaulhofer relies on experienced partners who offer top-quality for product and installation services as they have undergone detailed training in all Gaulhofer windows and balcony doors. 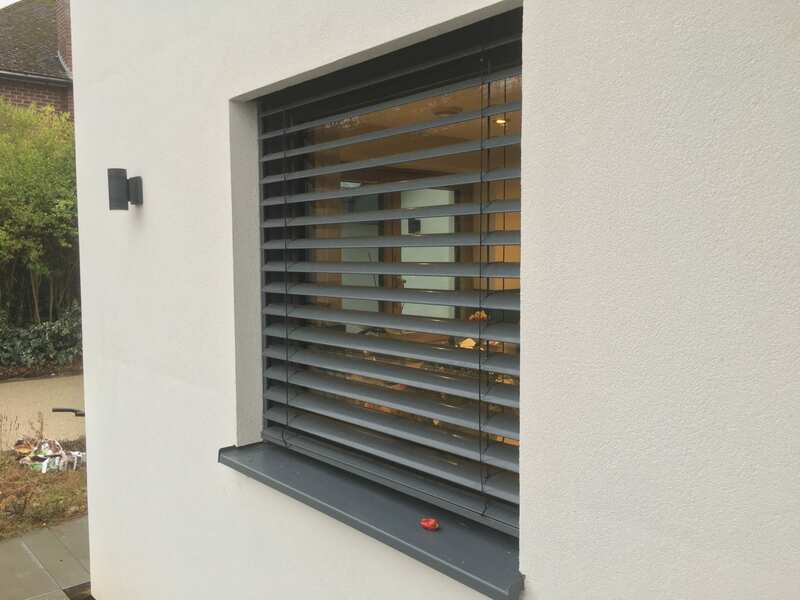 A side benefit of high-quality sun protection is the extra noise insulation effect when they are closed – roller and window shutters particularly excel here. 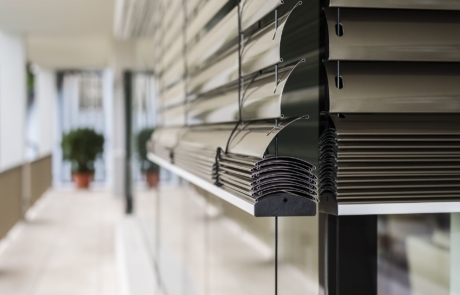 Another advantage of activated shade protection that can hardly be overstated is that it makes life far more difficult for burglars. 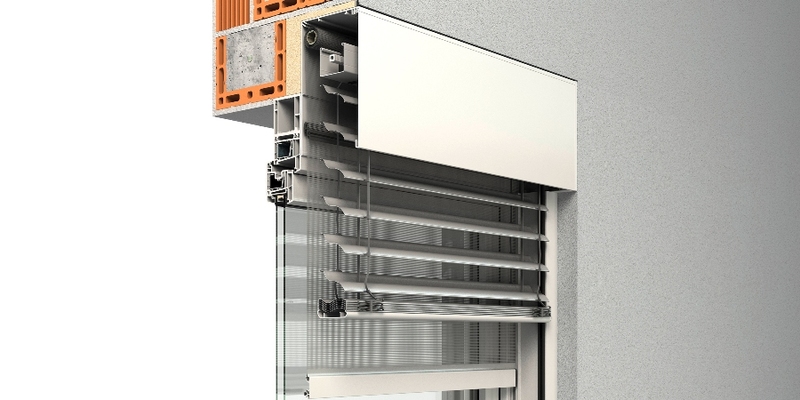 Denying direct access to balcony doors or windows makes breaking into your home a significantly more complex affair. 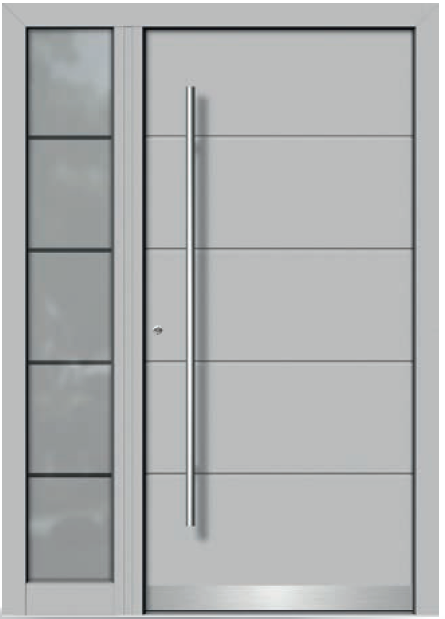 Wooden and wood-aluminium lift and slide doors from Gaulhofer are perfectly equipped, complete with all technical details. 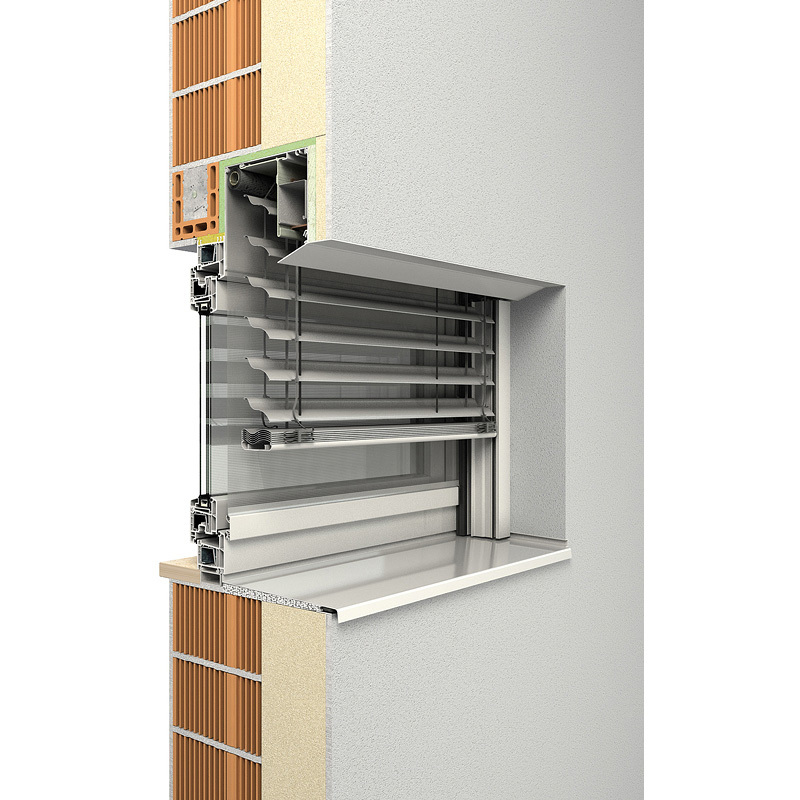 Available in the model series NATURELINE, FUSIONLINE and INLINE, they offer the right solution whatever your requirements: high heat insulation values, 100% tightness to banish draughts, an elegant frame design, an easy sliding action, in addition to barrier-free construction with a sill flush to the floor. 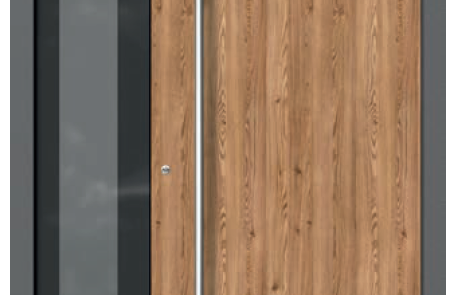 Easing the transition between out and in while still looking good. 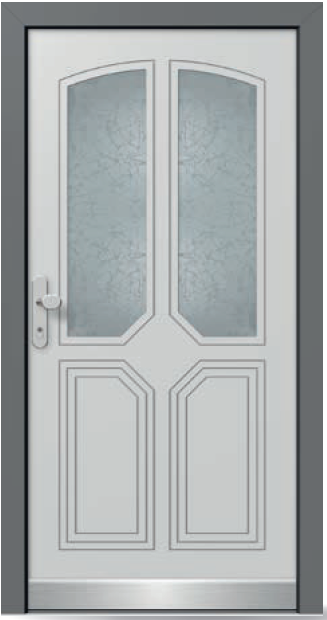 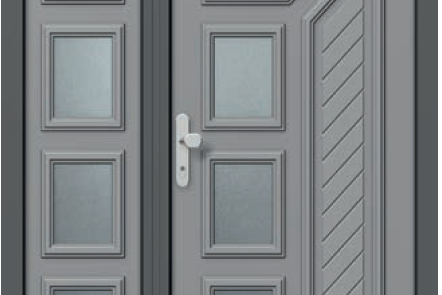 These doors likewise impress with their high security standard, exceptional durability and outstanding weather resistance. 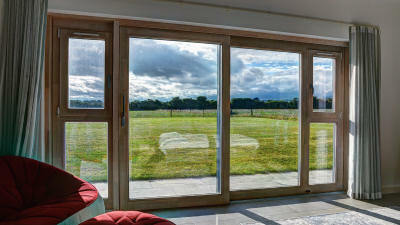 Gaulhofer’s lift and slide doors in wood and wood-aluminium offer you a minor technological marvel. 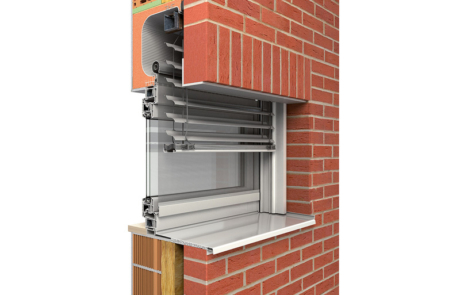 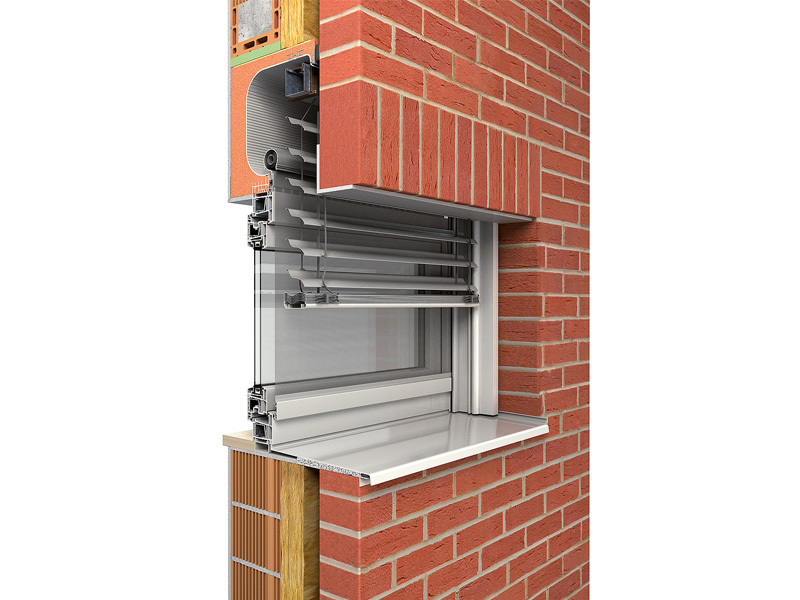 The comfort end position dampers for example make sure doors close quietly even when slammed shut, prevent fingers getting trapped and also protects masonry from impacts. 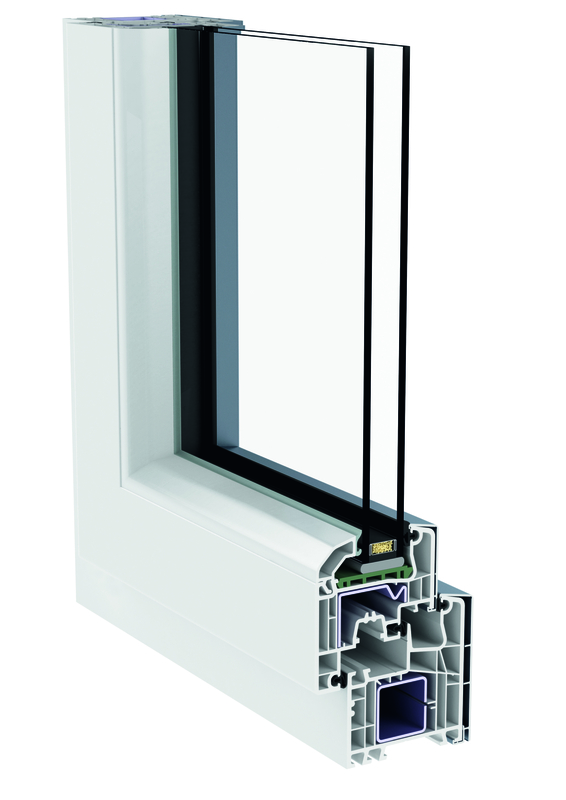 A technically virtuoso performance: High sashes can be easily adjusted using the concealed anti-distortion gear. 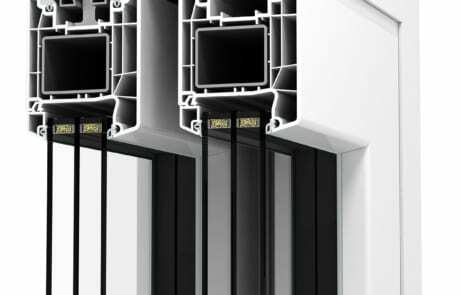 This makes it possible to compensate for minor differences in bending caused by changes in temperature in summer and winter. 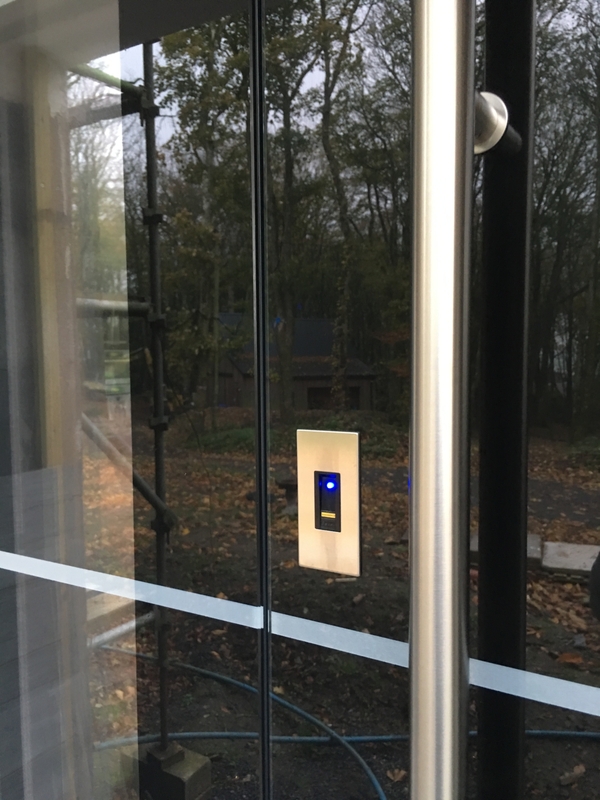 Additional feature: The retractable steel locking hooks do not get in the way when the sash is opened – no locking piece is visible. 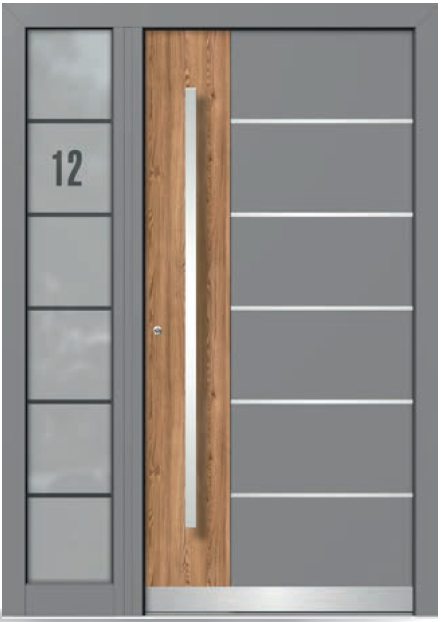 Each to there own, with design lines DESIGN, STYLE & CLASSIC, Gaulhofer offers an assorted range of timber and timber aluminium entrance doors. 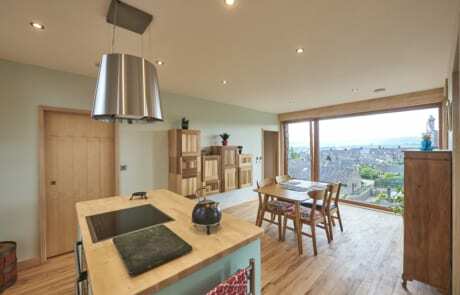 Absolutely the best choice for all tastes. 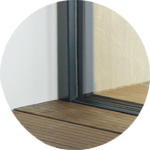 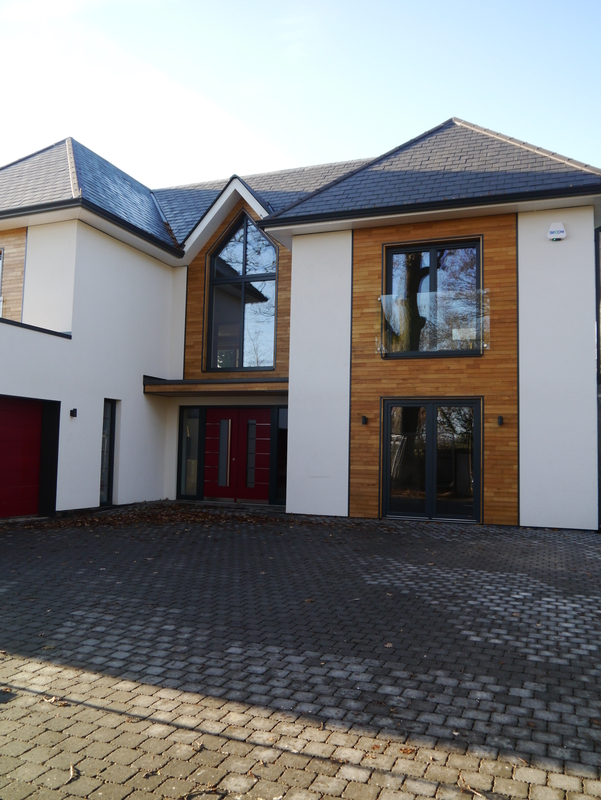 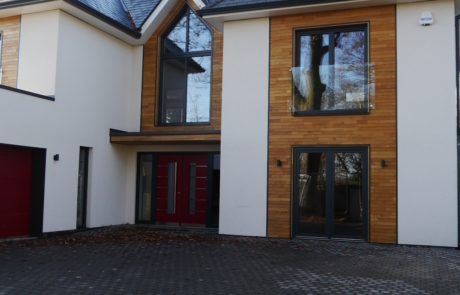 The combination of wood and aluminium is one that is both appearing and low maintenance. 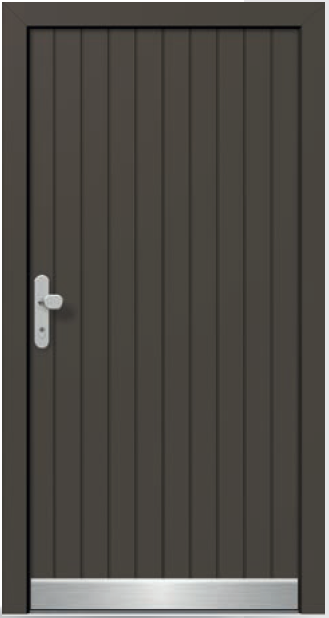 Gaulhofer entrance doors made from wood aluminium offer a wide range of individual colour options, thanks to the aluminium coating. 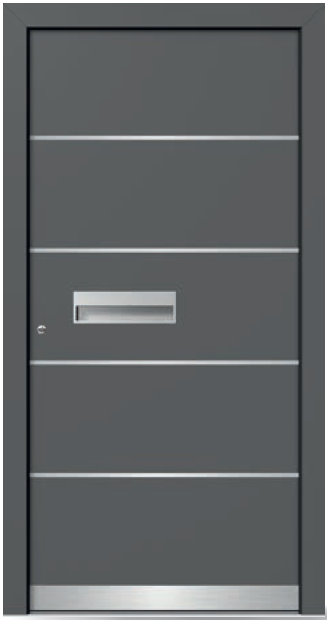 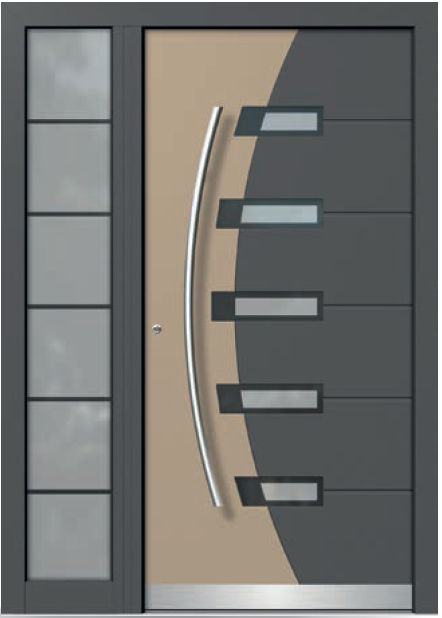 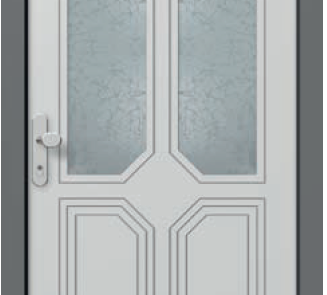 This yields weather proof, low maintenace and shapely front doors with a personal touch. 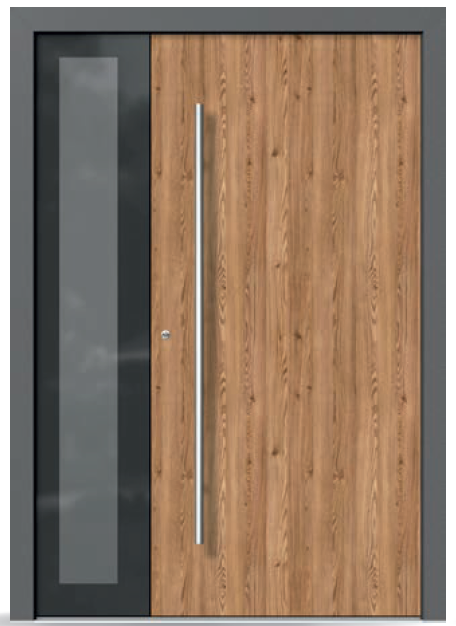 Gaulhofers new wood and wood aluminium doors are three times as good: On requrest, they are available with security class RC1 & up to RC3. 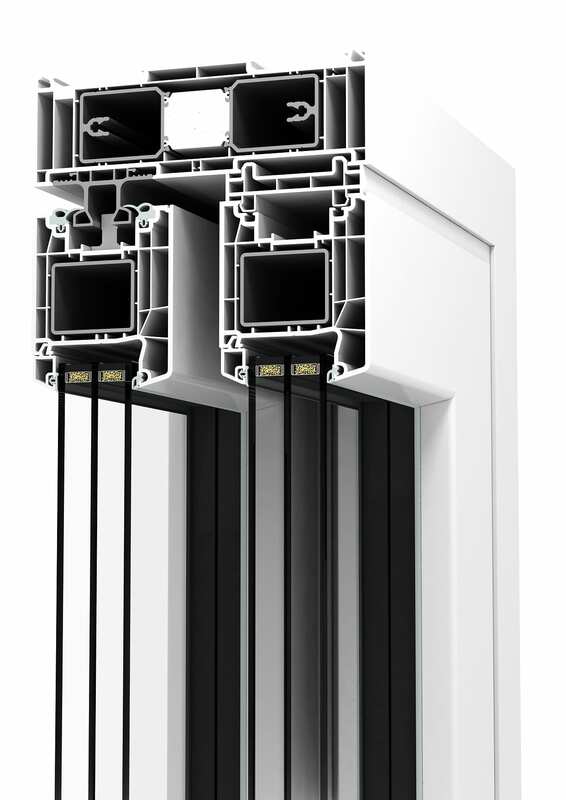 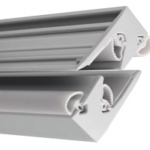 Their first class thermal insulation characteristics can be upgraded to rech low energy or Passive House standards and when it comes to design, the optional flush finish scores points with it’s concealed fittings.